Subscribe and get $25 off instant coupon code on your next purchase at Axonoptics.com. Hurry up! Axon Optics 365-Day Soft Contact Lens for Migraine & Light Sensitivity starting at just $349. Get FREE shipping on Domestic orders or $7 OFF on International shipping with a tweet or share on social media. Hurry Up! Order the best-selling migraine relief glasses and sunglasses. Price ranging from $149 only. 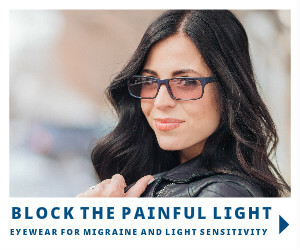 Fight your migraine and step into the light with Axon Optics glasses. Introducing New SKYE FLEX Titanium Frame Starting at Just $149 only! Axon Optics is a high-tech startup company that was formed after a neuro-ophthalmologist, photonics researcher, and ophthalmic entrepreneur got together through the summer of 2010. Axon Optics has developed a proprietary therapeutic FL-41 lens which has been utilized by thousands of patients. Axon lenses can be purchased with a high-end anti-glare coating to reduce light reflection into the eye. Axon uses state-of-the-art spectroscopic measurement equipment to ensure that products consistently meet Axon’s specifications and provide the greatest therapeutic benefit to customers. 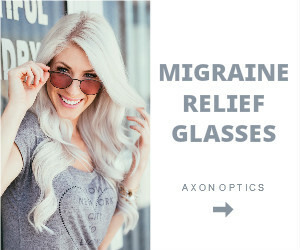 Axon Optics also provides relief to people who suffer from photosensitive migraines. People with more severe light sensitivity might prefer a wrap style frame that minimizes light coming around the frame. People who are less light sensitive, or who do not like the wrap style can choose a more traditional frame. Cover-RX frames include healing FL-41 Axon lenses and are perfect for the protection of the improved light with or without prescription glasses. Found a coupon for Axon Optics?